ABode Glasgow reflects the city's own modern renaissance, combining striking traditional architecture with the most exciting contemporary design and high-tech facilities. The 59 bedrooms, each with their own theme are rated Comfortable, Desirable, Enviable and Fabulous so that you can decide what type of room you are in the mood for. 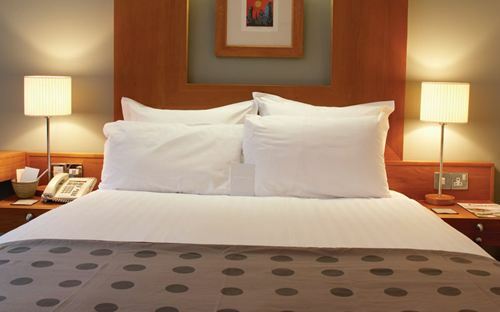 Luxury and relaxation are consistent themes throughout so that you are assured of a restful nights sleep. Bedrooms at all levels are well-equipped with trademark ABode features including Vi-Spring beds; bathrooms; luxury toiletries; personal DVD players and state-of-the-art LCD televisions. Michael Caines is at the helm of the ABode dining experiences. His talented chefs pride themselves on sourcing the best local and Scottish produce and ingredients. At ABode Glasgow, BarMC and Grill presents creative, freshly prepared dishes for a wonderful dining experience and afterwards, slide over to the chic, late-night lounge bar BarMC. The restored Arc Suite and Assembly Room provide the perfect venue for a stylish reception or private dining party, while the meeting rooms are fully equipped for a hi-tech conference or other corporate occasion. ABode Glasgow, in the heart of this vibrant and rejuvenated city, is your home from home, whatever the occasion. We believe that your stay with us should be special, whatever the occasion. So as you would expect from ABode Hotels, our entry-level rooms with bath or shower are anything but basic. As in all ABodes, we offer the most modern comforts within a design that reflects the historic fabric of the building. In our Comfortable rooms we offer all the features that make a night with us unforgettable, including the most comfortable Vi-Spring bed you will ever sleep on. 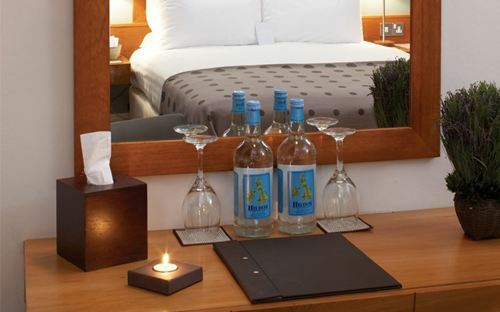 Other ABode features include: secondary glazing; LCD TV & DVD players; in-room safe; hospitality tray; bespoke toiletries; a tuck box with regional food and drink; and complimentary broadband. Why not give in to your desires? 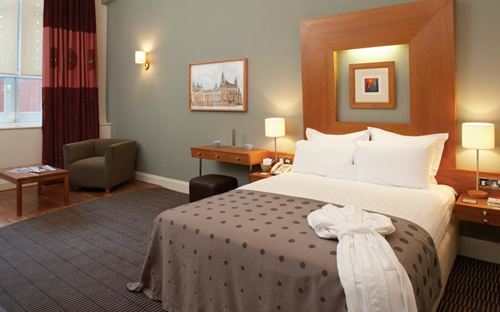 Our Desirable rooms are impossible to resist, offering all the features of our Comfortable rooms as well as that little bit extra. Our Desirable rooms are just that, slightly larger, slightly more desirable, for whatever reason. Extra features include king-size Vi-Spring beds and bath and shower. 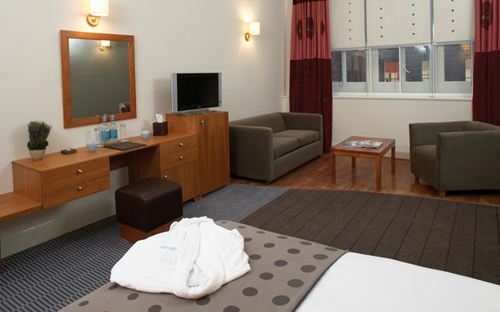 Our Enviable rooms are simply beautiful. Each is unique, with completely individual features including integrated bathrooms, luxurious velour bathrobes and much more. These spacious rooms with their own sitting area are what others might call a junior suite. But they are more than just a luxurious space, for inherent in our concept and philosophy is a level of personal customer service that is unsurpassed. Tempt yourself with the complimentary tuck box of regional treats, relax in a comfortable lounge space or luxuriate in a bath with our superior toiletries. For a special celebration, romantic weekend or simply because you deserve it, our Fabulous room offers the ultimate in ABode luxury, designed with individual character and stylish bespoke furniture. Wooden paneling, floor to ceiling bookcases and an optional adjoining room for meetings or private dining make this spacious, contemporary suite completely unique. Order a bottle of something chilled and delicious from Michael Caines' dedicated room service, and enjoy the city's most sophisticated space.